The occupy protest has come to and end in Oakland. just this morning I watched as the protesters were removed from Frank Ogawa Plaza. There was no teargas, no graffiti, no rubber bullets, and no rocks thrown. I know some people have a vision of tent cities popping up across the land as the people gather in a peaceful protest against the evil corporations and as the tent cities grow we watch the corporate monsters crumble and fall around our feet. That's not going to happen. I would hope that other cities do have occupy protests and they send their opening message to the companies that do not have our best interests in mind as they use our own money against us. I also hope the people involved are intelligent enough to know when that leg of the protest has run its course. What turned out to be a good beginning now needs to evolve into something that takes action from as many people as possible. Many people supported the issues represented by occupy protests but they could not just drop everything and go to live in tents outside city hall. People have been critical about my opinion that the tent cities were not effective. They seem to think just because people are living in tents it will force companies and politicians to change their behavior. I don't see that happening. I do see them paying attention, waiting to see if maybe the occupy protests have something in mind that would effect them. Now we are in a few months the only thing that has happened is more protests have popped up in more cities. That's a good thing, it shows the sentiment is widespread. but even if protests were to occur in every single city across the country what else is that going to achieve? I don't have all the answers to solve our problems but I have some ideas. I also believe that sooner or later some of these ideas will have to become a reality or our nation will no longer be around for us to demand to be changed. Stop buying from the big chains. Start shopping at that independently owned store and support small businesses whenever possible. If you drive across the country you may notice that every city is starting to look exactly alike. There are shopping centers which contain stores like Home Depot or Lowes (sometimes both) Walmart, Taco Bell, KFC, Barnes & Noble, Target, Bed Bath and Beyond. In many of these same cities you will also find what used to be a busy downtown that looks like a ghost town. All the businesses run by the people who lived in town are closed due to people helping the corporations grow bigger and bigger. As a business get larger it tends to lose any personal relationship with it's employees, instead treating them as a number. How easy is it to be concerned for the number 34617? If I were to tell you number 34617 was late to work because their child had a cold how much care could you muster up? CBS did a story on this and you all need to read it and act accordingly. 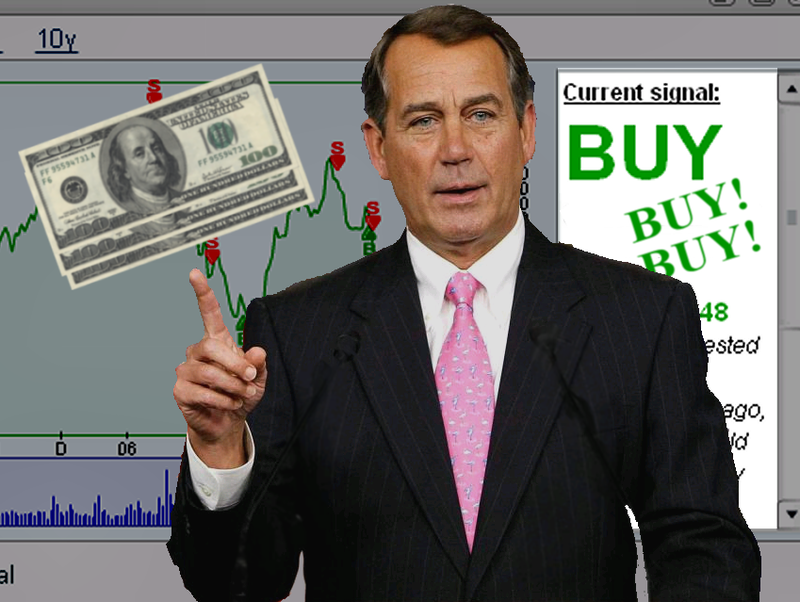 Congress: Trading stock on inside information?